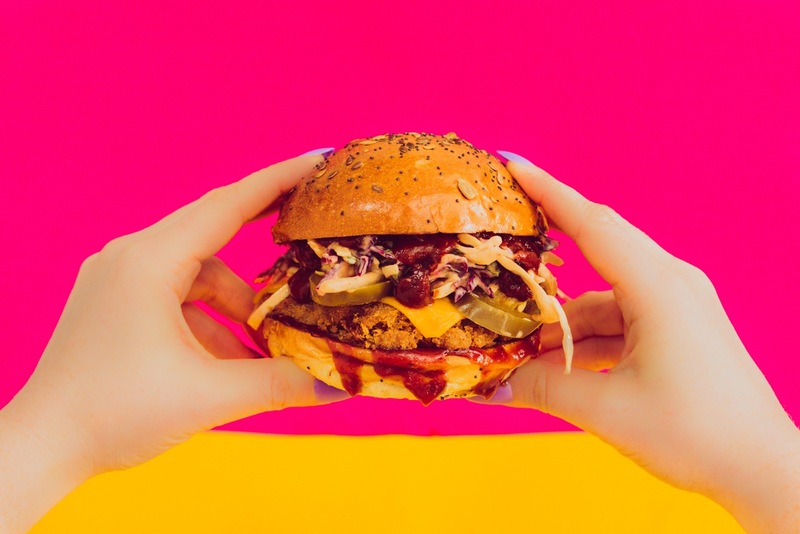 Launching in time for World Vegan Day on 1st November, Biff’s Jack Shack is bringing its all-vegan menu of jackfruit-based fast food to Boxpark in Shoreditch. 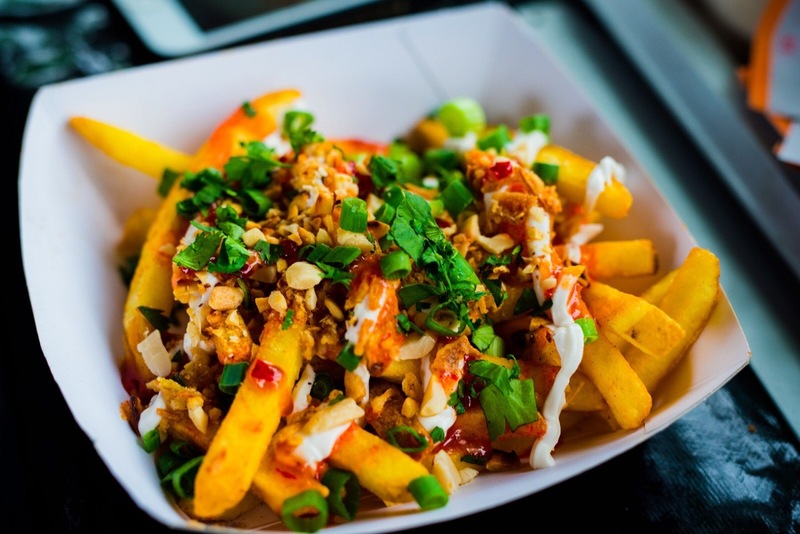 Started by partners Biff Burrows and Christa Bloom as a reaction against the sad, uninspired bean burger options they suffered in many restaurants, Biff’s is out to change the conversation about what plant-based food can be – with a side of neon and the odd 80s reference. 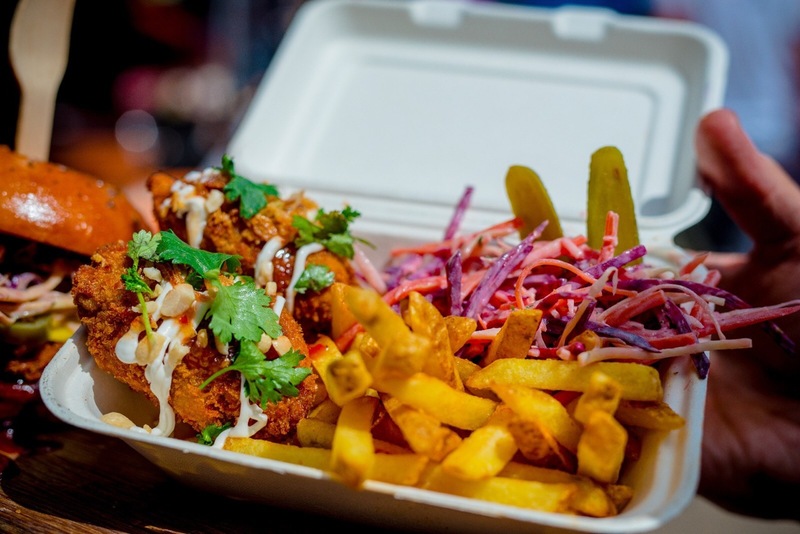 After hugely successful 10-month run with a pop up at Haunt in Stoke Newington, the Boxpark opening will be Biff’s first permanent home. 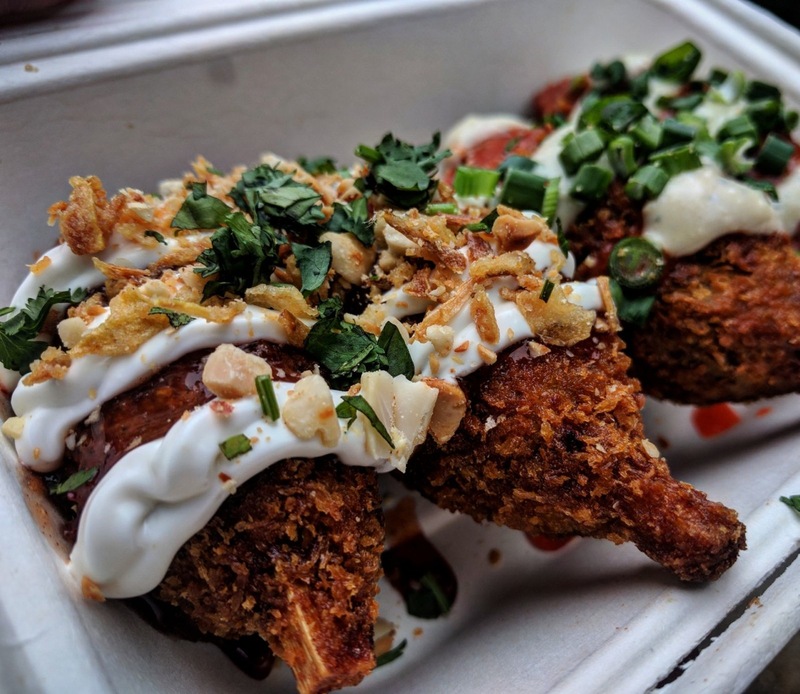 The menu is centred around Biff’s unique Crispy Fried Jackfruit: young green jackfruit is braised in a secret spice mix and triple-dipped in golden panko to create indulgent burgers and wings. 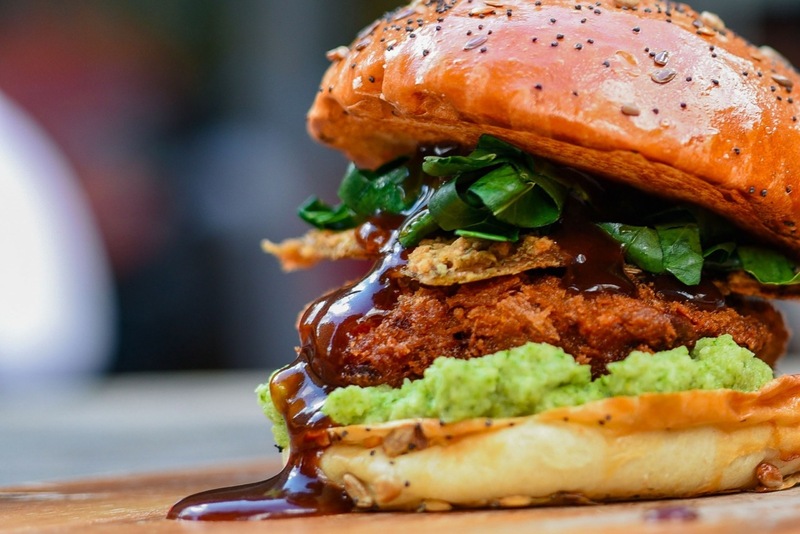 Old favourites such as ‘The Father Jack’ – named as Time Out’s favourite vegan burger – and ‘The Samuel Hell Jackson’, topped with maple chipotle hot sauce will be on the menu at Boxpark, alongside brand-new creations. Best of the new dishes is Biff’s biggest most indulgent burger yet, the ‘Jack Bauer Tower of Power’, a double jackfruit patty with deep fried vegan cheese, potato rosti, bacun jam, vegan aioli, served in a toasted brioche bun. 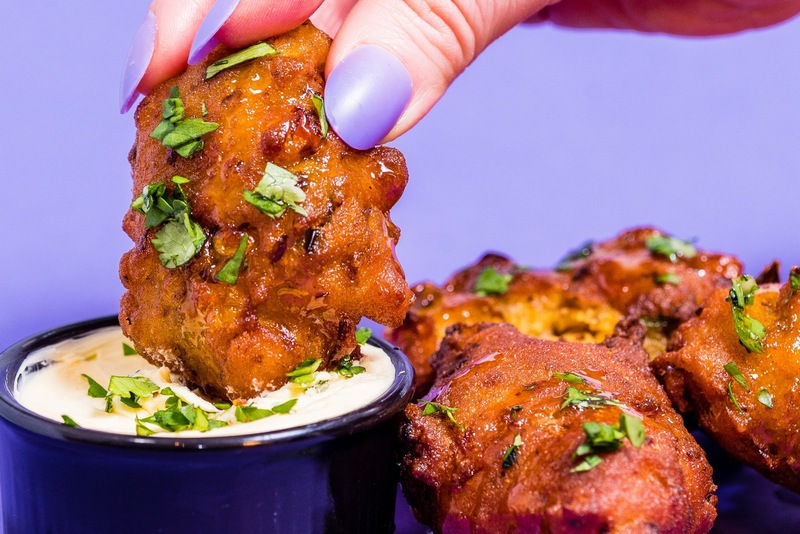 Crispy jackfruit wings come complete with a sugarcane ‘bone’, topped in a range of Biff’s house-made sauces including bourbon-infused sticky BBQ; miso mayo; cinnamon sweet chilli; and blue cheeze. 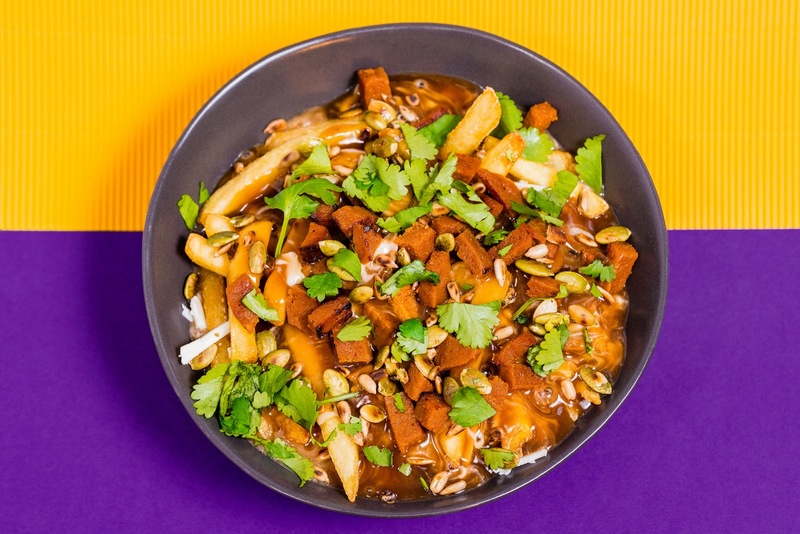 The Boxpark Shack menu also features a section of ‘Filthy Fries’ including London’s first vegan poutine – fries topped with vegan cheese curds, porcini mushroom, seitan bacon, and gravy. Elsewhere, there’s a jackfruit, brisket chilli bowl; hush puppies (crispy cornbread served with whipped maple butter; and desserts such as the Mug Cake Bar, hot fresh and gooey chocolate cake. Brunch burgers will also be available on the weekend. All Biff’s packaging is fully compostable and recyclable and there are no single-use plastic drinks on the menu. In an effort to reduce waste further, all customers that bring in their own appropriate food containers will receive a discount of 50p from their order. 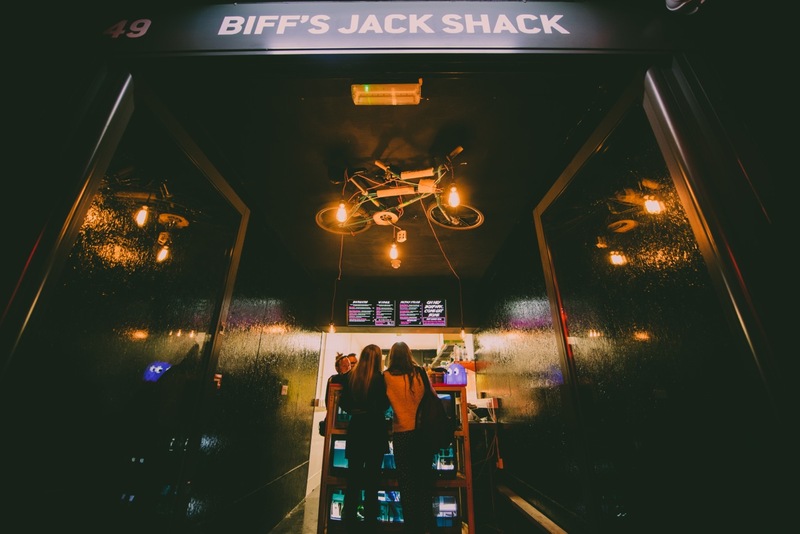 You can visit the Biff’s Jack Shack online and follow them on Instagram. You can see the exact location of Boxpark thanks to Google Maps.